The T-62 is a standard medium support machinegun used by the Japanese Self-Defense Forces. It's a slightly modified japanese license-made copy of the belgian FN MAG. It is belt-fed, firing in semi-auto or full-autofire the standard 7'62-NATO ammo. 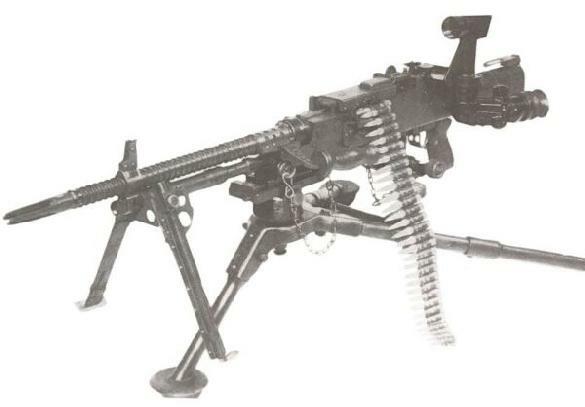 In this picture, you see it mounted on a bipod for field use, although it can be turret-mounted on MBTs, APCs and Tanks, AND can be used "as it is", as it features an underbarrel folding bipod.